This kit is not for beginners. It comes with detailed plans and if you have built other EPP planes you have most of the skills needed. 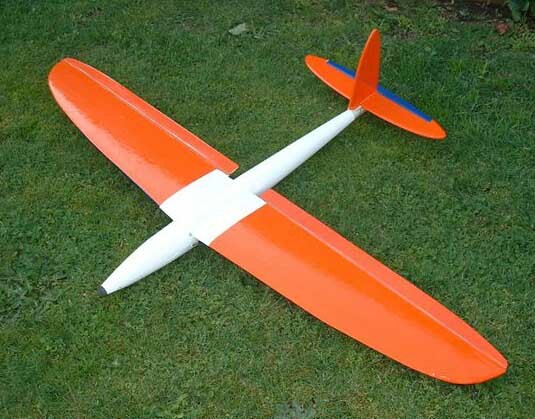 This plane is still designed for the EPP 48" slope racing class but is great for all slope flying. It is very efficient and will fly in light to heavy air. 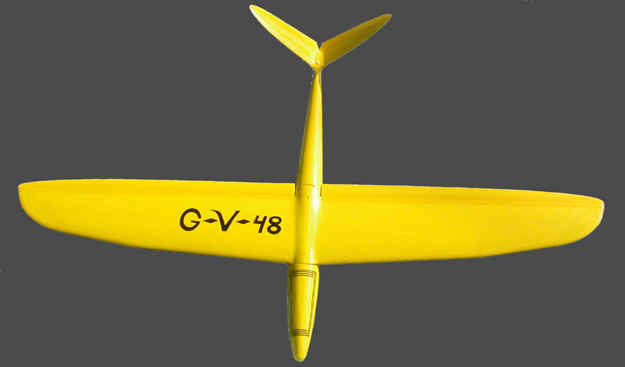 The G-V-48 has been redesigned to add new features. The wing is now a two piece plug on style like the SR-T. You can easily take it on trips for flying remote places with a high performance yet durable glider. The ballast is now held in the fuse for quick changes. The new design is also stronger easier to build and offered now with the ballast. This plane is not for beginners and it intended for performance minded flyers. CNC cut wing panels with spar cavities precut. Material for all plane parts except the covering and gear to hook up your servos. Detailed plans and shape templates for Tail and wing tip shaping. $30 for 4 percut sheets of uni carbon cloth, fiberglass top layer and mylar for a smooth layup.